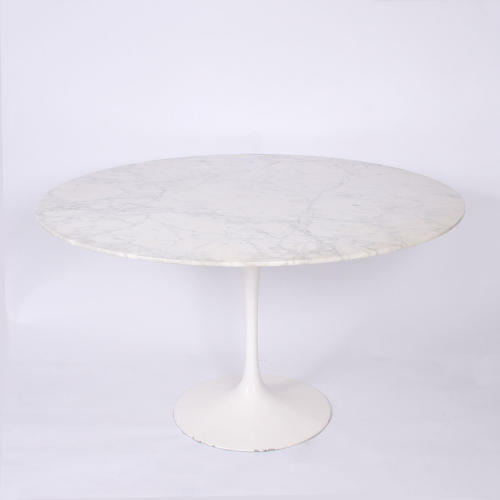 A marble top Saarinen dining table with white base. Condition consistent with age, with a few chips on the base. Six matching tulip chairs also available.